Coach's Corner - U2 band-signed/guaranteed elecric guitar by ALL 4 guys!! 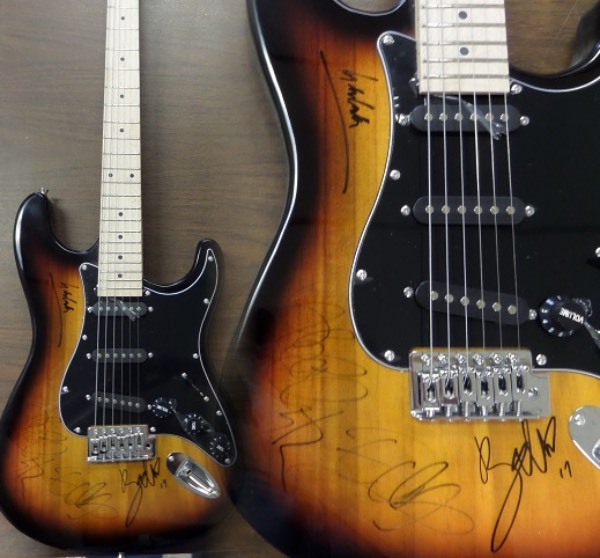 Go Back to Lot List U2 band-signed/guaranteed elecric guitar by ALL 4 guys! !